This is the Alfa Romeo Stelvio, named after the 19-kilometre mountain pass that bends over 48 times through the highest reaches of the Italian Alps. Though when one daydreams about taking a vehicle through that challenging serpentine road, chances are they see themselves in a supercar or perhaps a sports sedan. The last thing they would expect as a chariot is an SUV. 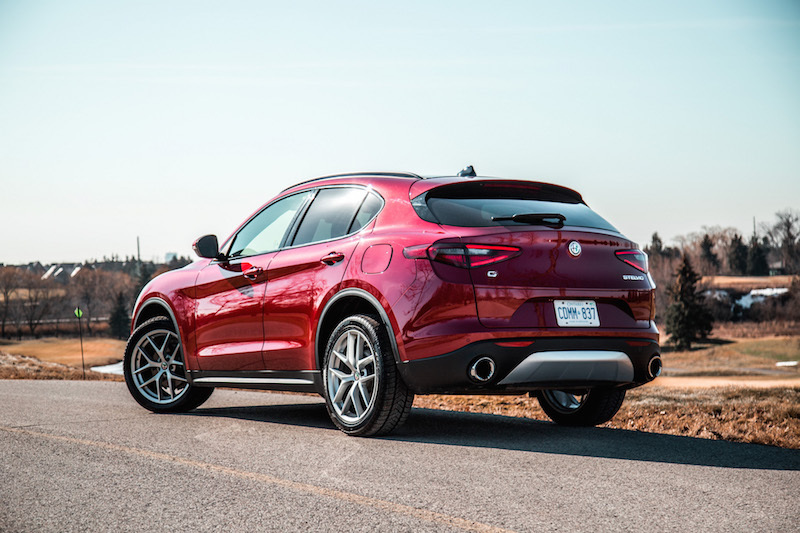 So you will have to excuse me as I find myself befuddled by Alfa’s decision to instill this moniker on their new mid-size crossover. It better be a dynamically handling SUV then, with emphasis on the “S”. First thing’s first, the ingredients - the Stelvio has potential here. It rides on the same platform as the Giulia though is slightly longer and taller. 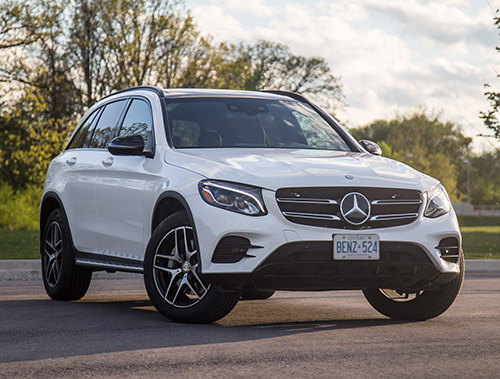 Under the hood is the same 2.0-litre turbocharged four-cylinder engine pushing out an impressive 280 hp and 306 lb-ft, more than any other four-pot in a mid-size crossover. This is routed through the same 8-speed auto as the Giulia, and all-wheel drive (Q4) is standard. 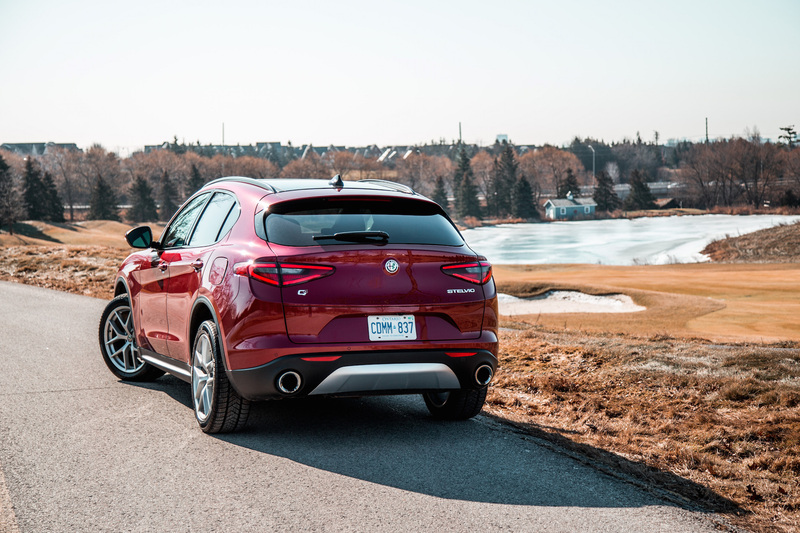 One glance at the Stelvio and you know it is something special. Not many SUVs have me getting out and peering back over my shoulder to “check out” my own car. 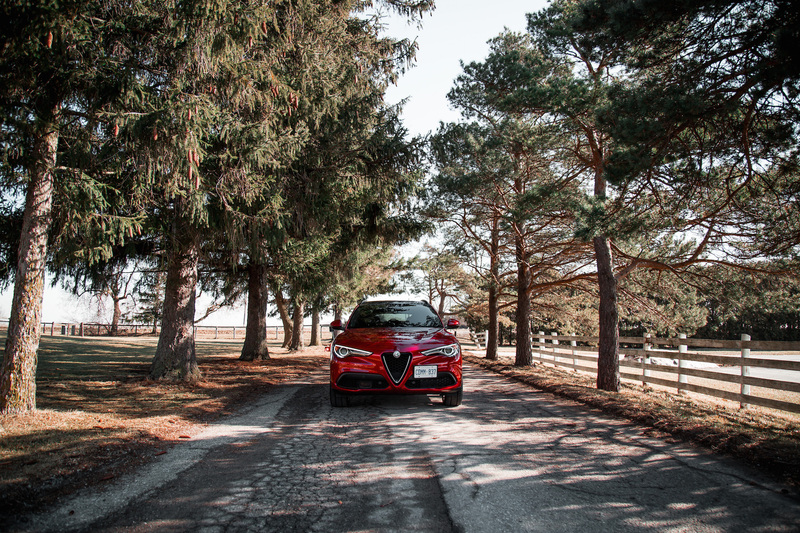 The Stelvio wears a refreshing outfit, and that Rosso Competizione Tri-Coat ($2,500) is particularly eye-catching - an expensive paint job that ties as the priciest option on this spec sheet, but well worth it. All of Alfa’s signature cues are there as well, such as the triangular grille and sleek headlights. 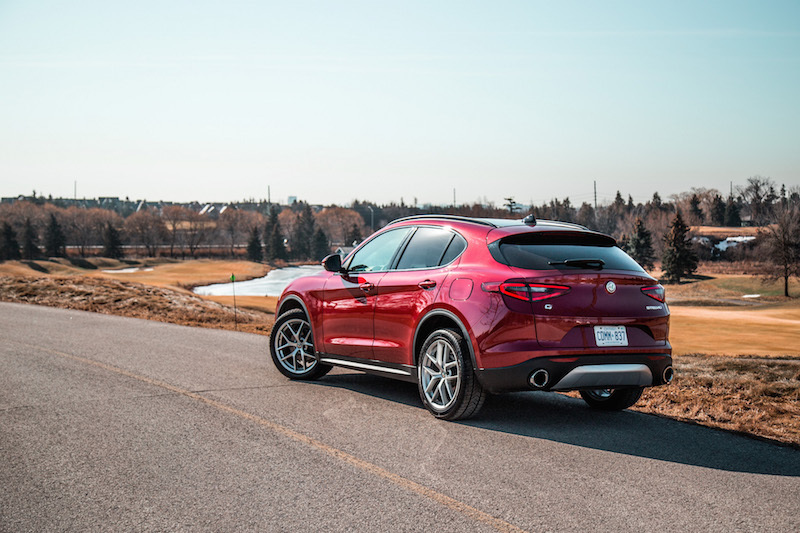 I’ll be honest, the Stelvio does not look very good in photos. The proportions appear all wrong, with flat sheetmetal and a jacked up stance that yells functionality rather than sporty. Look hard enough and you will even see a bit of Mazda CX-5 from the side too. On the flip side, it appears better in person, sort of like a Giulia with a very long chin. 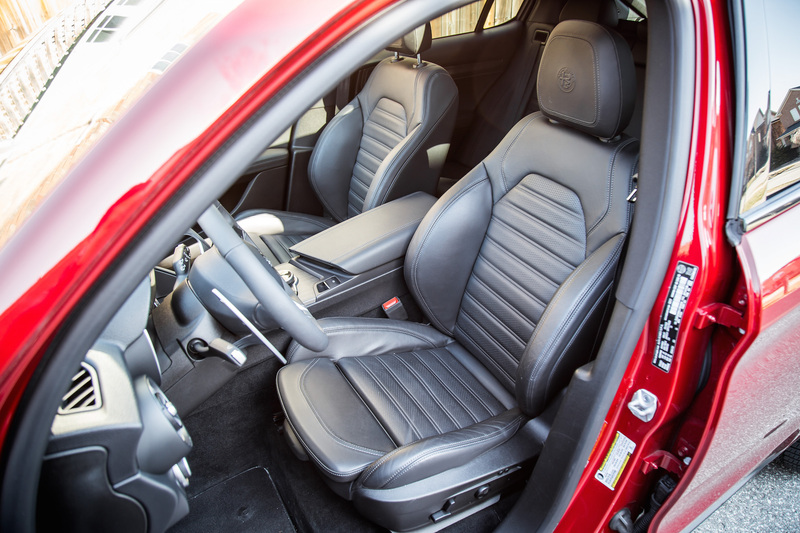 The interior is almost a cut and paste job from the Giulia, which is a good and bad thing. Let me explain. 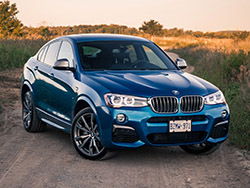 The good thing is that it is rare to see a racy thin-rimmed flat-bottomed steering wheel in an SUV. I adore the look and feel of this one, and it ranks among my favourites. 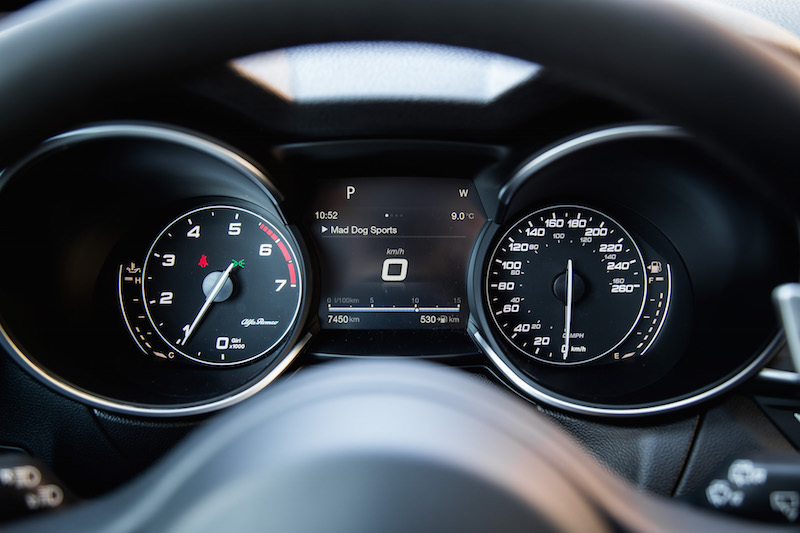 Those colossal column-mounted paddle shifters truly add to that appeal - cold to the touch and flick like a Maserati’s. It may seem like a microscopic detail but having the rear windows slide all the way down and not have part of the glass sticking out is refreshing to see. 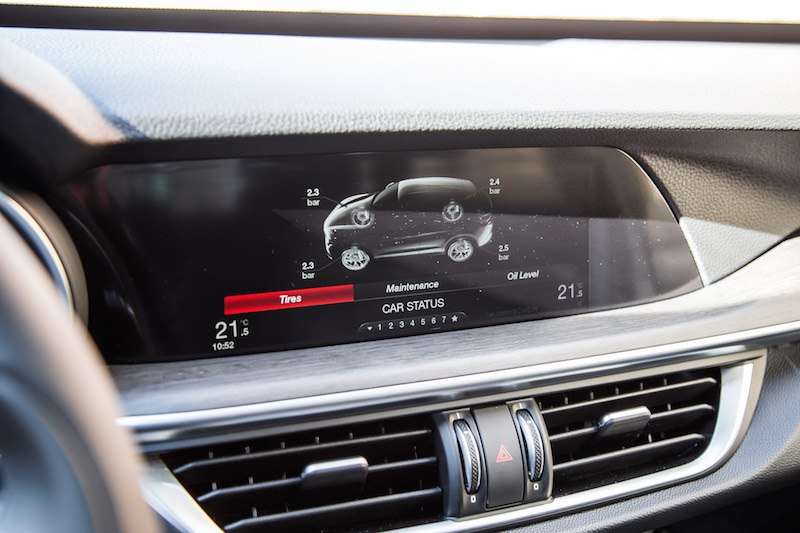 The center console remains simple and uncluttered like an Audi’s, and the 8.8-inch infotainment screen is more than usable. Graphics are crisp and the menus are straightforward - nothing to write home about, though. The bad thing here is with interior ergonomics. The sports seats are hard and uncomfortable, though well bolstered for my slender frame. I have no doubt that larger folks will feel overly snug. The rear quarters are more spacious than the Giulia’s - I can sit behind myself and just fit without brushing my knees or head. The same complaint from the Giulia about the small entry portals still applies here. Depth wise, the front dashboard is unusually short, almost Jeep Wrangler-like. 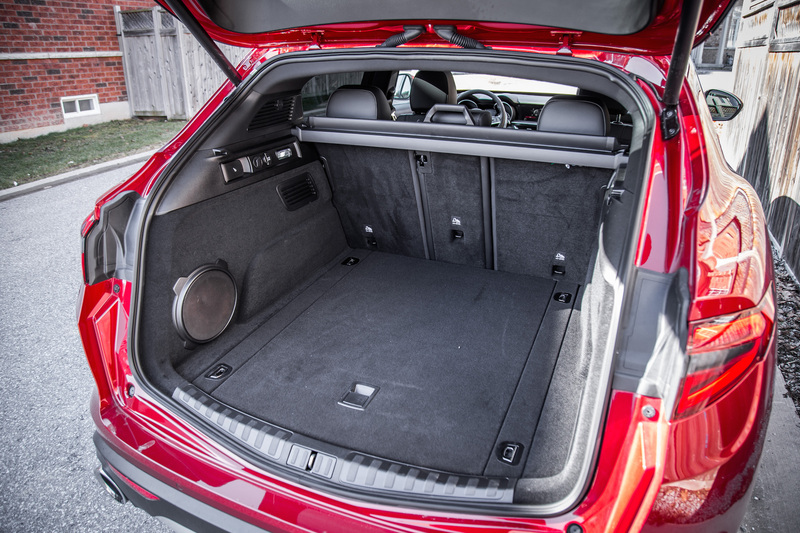 That goes for the seating position too, which reminds me of sitting in a Jeep Cherokee. That’s not a good thing. 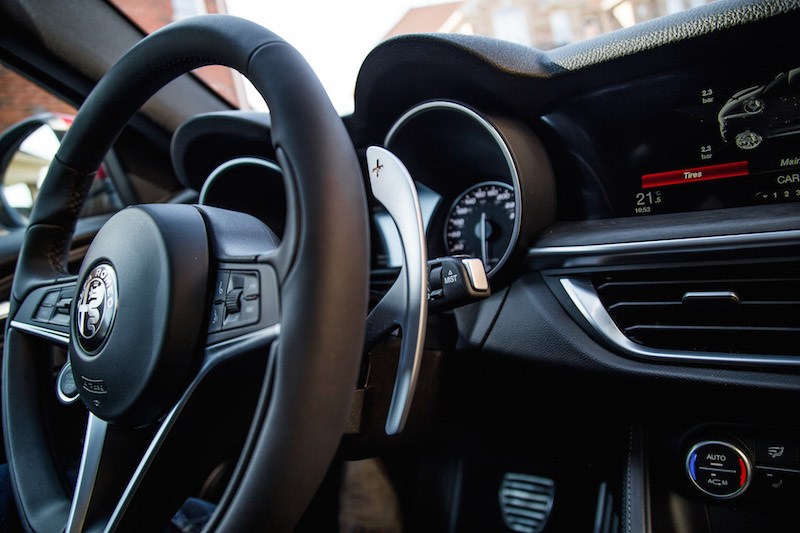 The steering wheel is angled slightly upwards and does not telescope very far towards the driver. The seat bottom does not incline acutely either making for a weird “falling-over” feeling when sitting down. It’s not as bad as the Cherokee’s but it does not feel like I am sitting in a sporty SUV either. 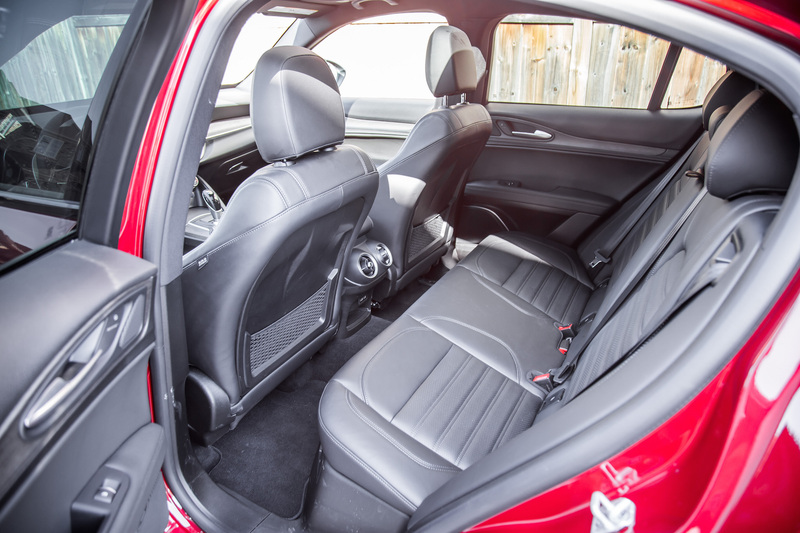 Though, for those buyers looking for a high and commanding seating position, the Stelvio nails it. So the Alfa has the looks and the proper ingredients to amalgamate into a proper driving experience. 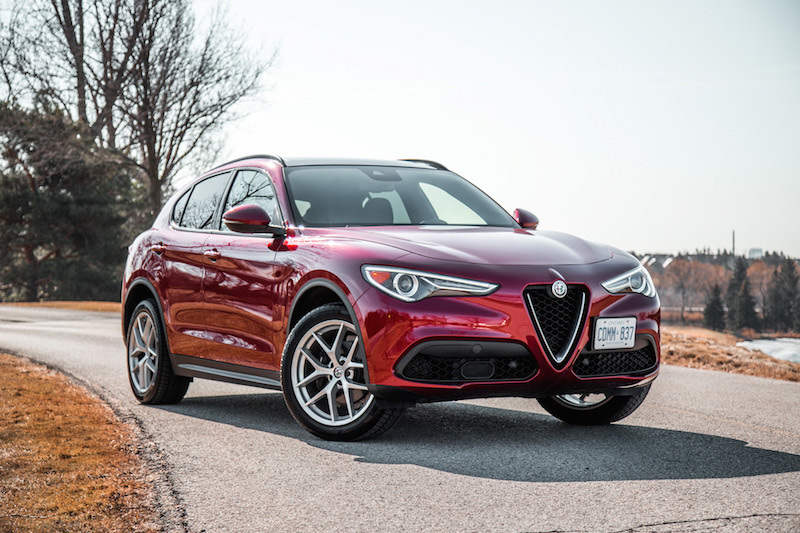 Objectively however, the Stelvio is not very sporty. There are times when I see the light and the Stelvio shows me its dynamic personality, but 90% of the time I am left frustrated with the rest of its introverted and peculiarly tuned powertrain. This four-cylinder engine was disappointing when I tested it in the Giulia. Power always seemed to be on tap and the delivery of said power was exceptionally linear, something not always found with these compact engines, but it lacked drama. 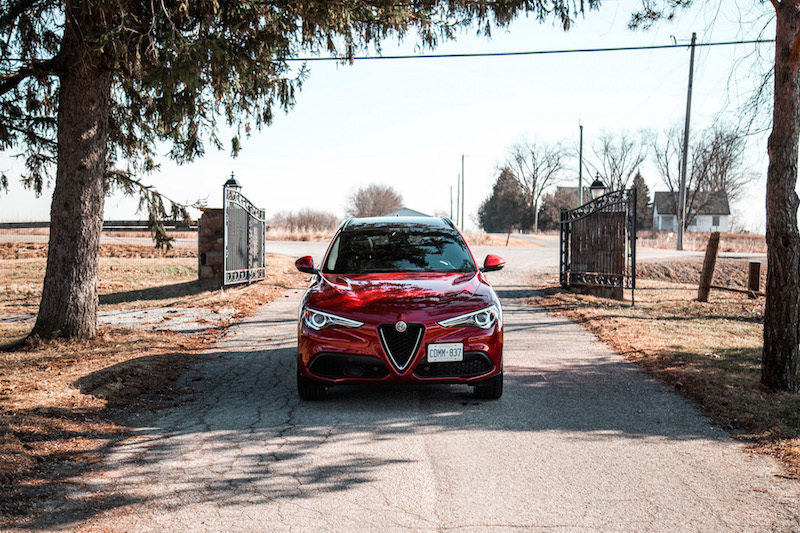 Perhaps I was expecting too much from the Giulia as a sports sedan, but I’m fairly surprised how it gets this larger and heavier Stelvio going with just as much verve and vigour. There are oodles of power at both low- and mid-ranges, and though dramaless it may be, there is no denying the effectiveness of 306 lb-ft of torque on the city streets and highways. 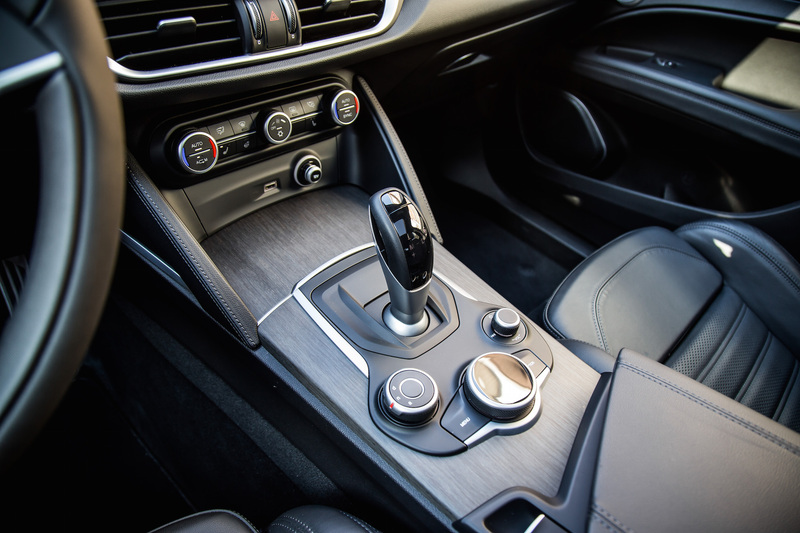 The 8-speed transmission exhibits noticeable jerkiness at low speeds, though it begins to flatten out like warm butter on a stick as the needle rotates. 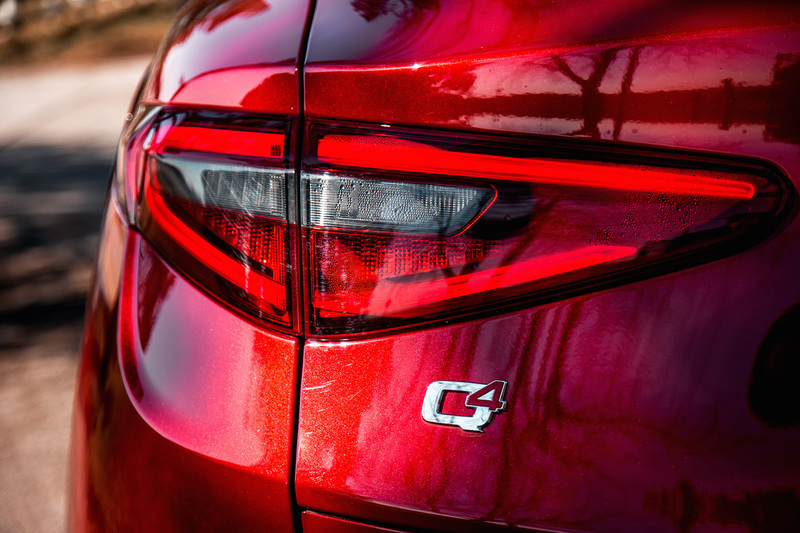 Shifts are mighty quick but alas, the Stelvio’s gearbox just isn’t as fine tuned as BMW’s. Rev matching pales in comparison and the Stelvio will shudder about when downshifting too aggressively in the wrong rpms. Upshifts similarly lug the vehicle, most notably when changing from first to second. The excellent steering rack from the Giulia has been transplanted into the Stelvio. Even with its higher center of gravity, I found some agility and willingness to turn. 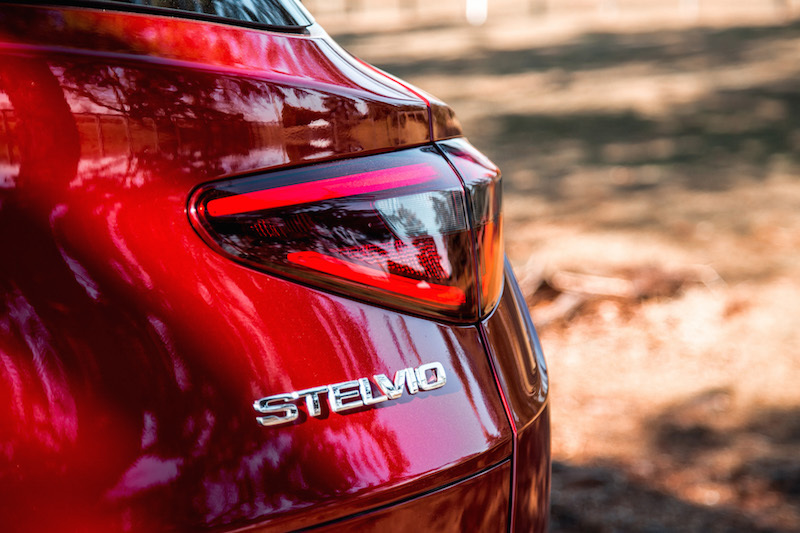 Body roll is kept to a minimum but the Stelvio is not nearly as taut as the Giulia. 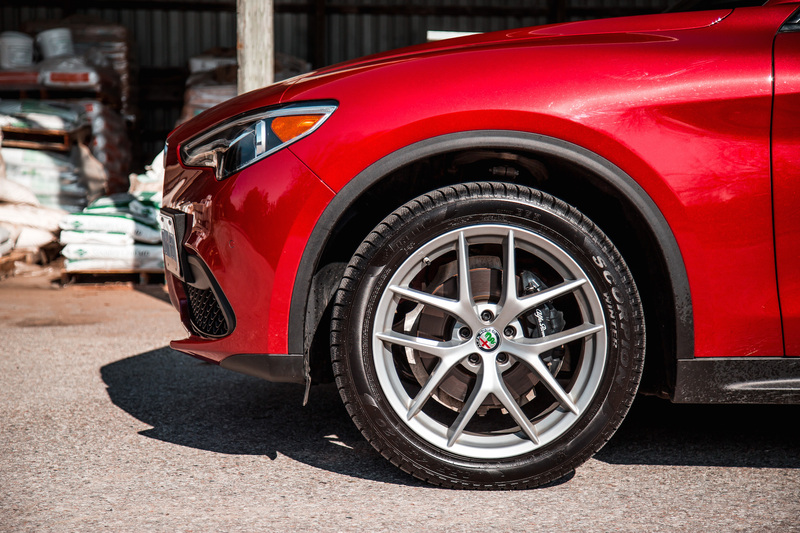 The small sacrifice to keep the body balanced is a stiffer ride, and the Stelvio rides a little harsher over bumps than the comparative Jaguar F-Pace or BMW X3, especially on these 20-inch shoes. 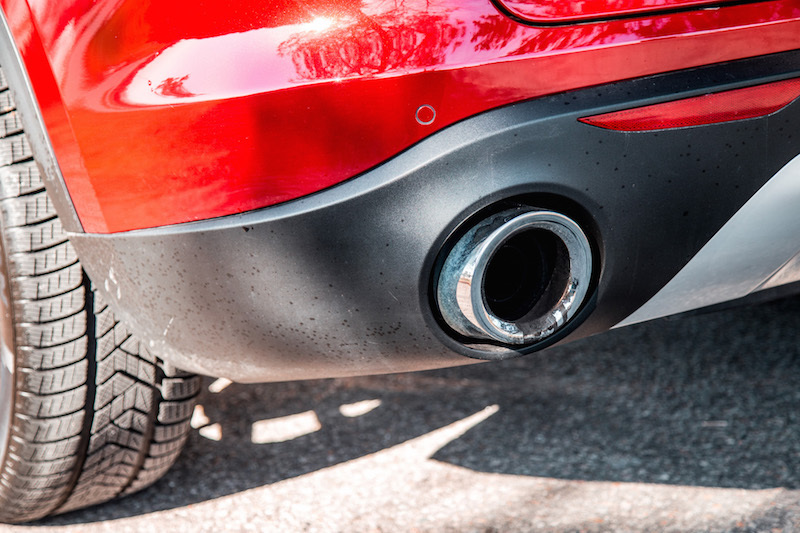 Brake pedal feedback is disappointing and inconsistent, going from linear braking to organ-rearranging braking in the matter of a inch, making it incredibly difficult to modulate deceleration in a smooth manner. We did not have this problem in the Giulia. 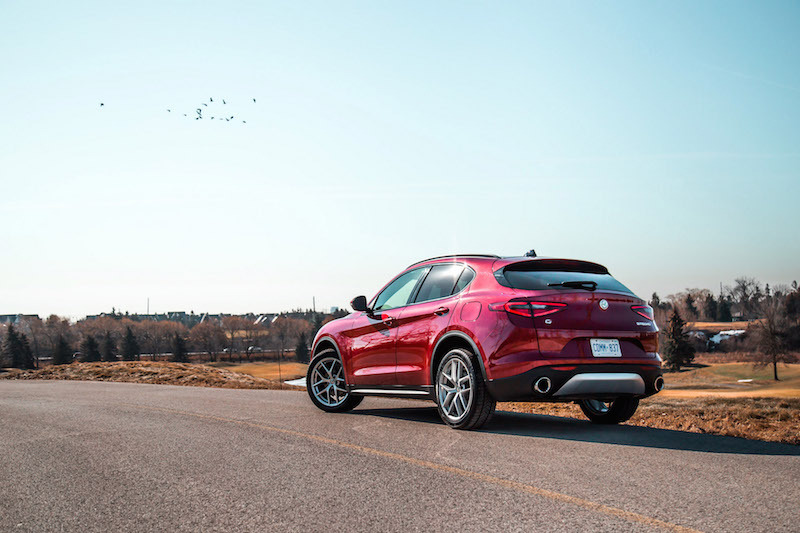 The Alfa Romeo Stelvio is a functional and practical mid-size SUV with all the right ingredients, just without the right execution. 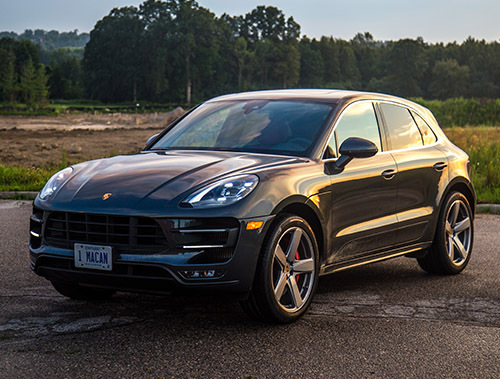 It wants to be sporty yet ends up falling short with a powerful yet dramaless engine, an inconsistent brake pedal, and a rough transmission. 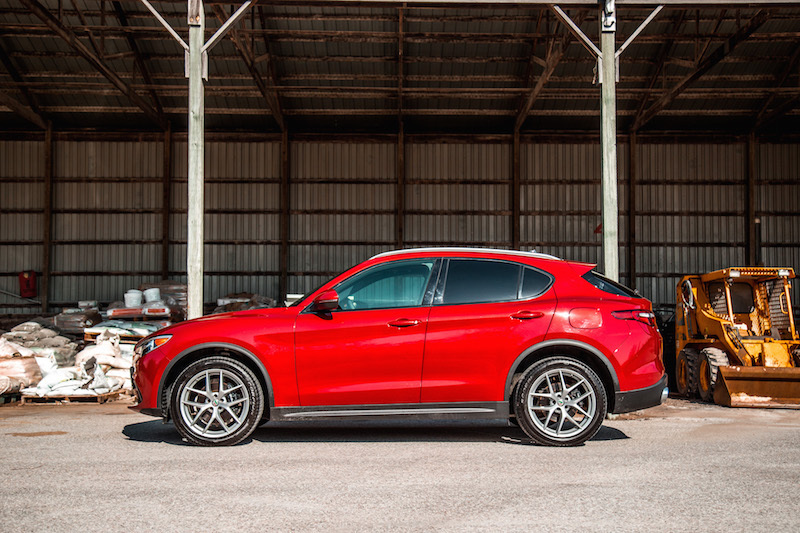 When compared to the seasoned competition like the BMW X3 and Mercedes-Benz GLC, the Alfa fails to stand out in anything but design. The Sport is there, I just have yet to find it.